You won't get stuck, but if you have any questions or need some help we will be there for you. Reporting tools powerful enough to show you exactly what you are looking for. Our filters allow you to quickly generate a report that reflects your business and goals. 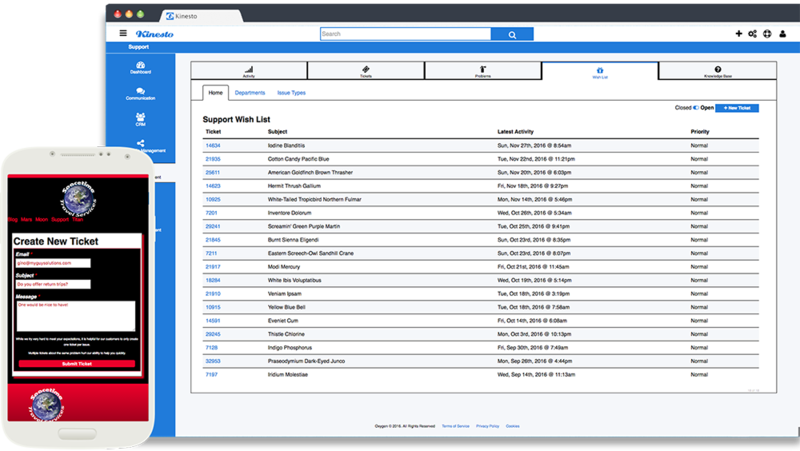 Our support tool allows you to track individual issues to quickly resolve users tickets. Multiple users experiencing the same issue? Create a Problem and allow a central ticket to view all affected issues. Don't provide a specific product or service? Wouldn't it be nice to track how often something was requested before investing in new tools and resources? 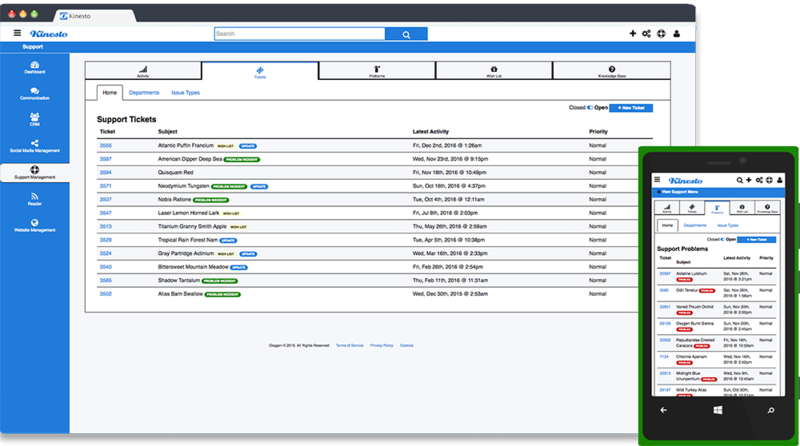 You can quickly and easily view all tickets that were assigned to Wish List items and see when it's right to expand your business. Help customers help themselves with our easy to use knowledge base software that provides 50% less support emails and more happy customers. Finding the right information can be a challenge for both your customers and your employees. Kinesto helps everyone find the right answer. We allow your customers to help themselves, and deliver instant answers to them, by allowing all knowledge in a centralized location. 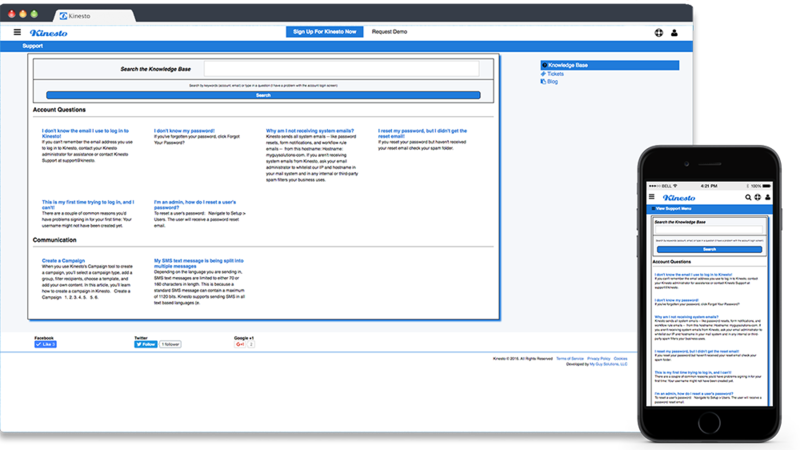 You can also reference Knowledge Base articles directly inside the Tickets and Problems tool to quickly help customers find the answers. Automate your business by automatically updating and creating records while staying informed with powerful communications. Be notified by SMS or email when events match your workflow rules. Was an entry submitted that equals, is not equal to or contains a customizable value? With our amazing workflow tool you can control your data. 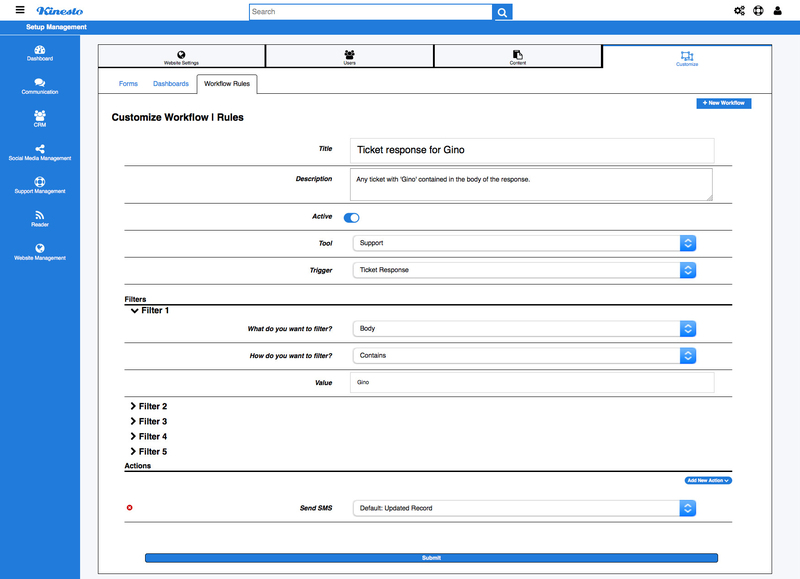 Easily create custom workflows for virtually any operational process. Change or refine your application anytime with ease. 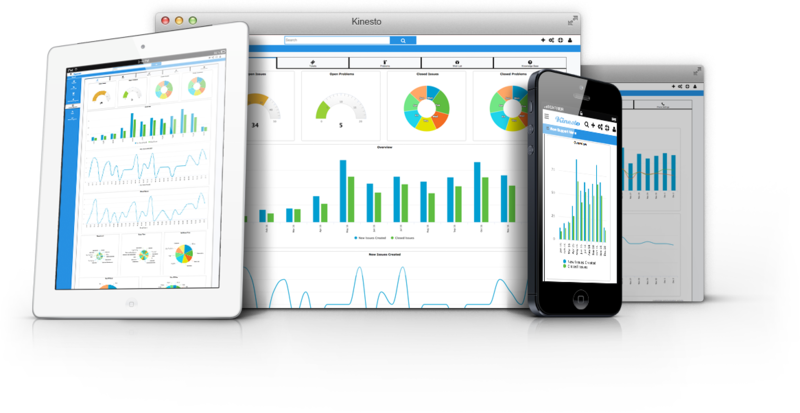 Kinesto gets updated every week to add new features to make your team even more productive. Have a cool idea? Let us know and we will do our best to bring your feature to life! Our powerful Support suite has the ability to log tickets and escalate to Problems when multiple customers are affected. If you receive a request for something that you do not offer, simply add it to your Wish List and track incidents that are requested to identify resources that could earn more sales. How much time could you save automating each task for your business?